Biography: Christina completed her doctoral studies in Resource Management and Environmental Studies in December 2011. Her dissertation was entitled, Putting the pieces together: Tracing fragmentation in Ontario water governance. As of January 2012, she is a Research Associate in the Faculty of Medicine, Department of Pathology at UBC. She works at the BC Centre for Disease Control on an interdisciplinary project regarding the development and regulation of molecular tests for drinking and source water. Christina joined PoWG in 2007. The main focus of her work at PoWG has been the water security project, to which she continues to contribute. Christina has also worked on “Water in Canada” project on municipal water governance and delegated governance. Prior to commencing her doctoral studies, she practiced corporate law at a large full service western Canadian firm. Subsequently, she has worked on project finance in the resources sector in the Middle East. Christina has a B.Sc. in Biology (British Columbia) and an LL.B. (Victoria). At the Program on Water Governance she has worked on the Municipal Water Supply Infrastructure Governance in Canada project funded in part by Infrastructure Canada. 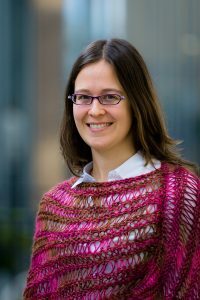 Other research during her doctoral studies has included: Canada’s Species at Risk Act, at the Commission for Environmental Cooperation in Montreal and insurance and climate risk management. Christina is a member of the PoWG team working on the Canadian Water Network funded Water Security Framework project. Ngueng Feze I., Kirby E., Prystajecky N., Cook C., Knoppers B. M., Ozdenmir V., Dunn G., Isaac-Renton J., Joly Y (under review). Legal analysis of water quality assessment biotechnologies: Is Canada ready to ride the next wave of metagenomics testing? Ottawa Law Review (submitted March 2013). Cook, C., Prystajecky, N., Ngueng Feze, I., Joly, Y., Dunn, G., Kirby, E., Özdemir, V. & Isaac-Renton, I. (in press). A comparative analysis of microbial drinking water quality testing in three Canadian provinces. Canadian Water Resources Journal. Norman, Emma, Cook, Christina, and Karen Bakker (eds.) (2012). Themed section: Water governance and the politics of scale: a critical examination of water governance in a multi-scalar environment. Water Alternatives 5(1). Cook, Christina and Karen Bakker (2012). Water Security: Debating an emerging paradigm. Global Environmental Change 22(1), 94-102. Bakker, Karen and Cook, Christina (2011). Water Governance in Canada: Innovation and Fragmentation. International Journal of Water Resources Development, 27(2), 275-289. Cook, Christina and Dowlatabadi, Hadi (2011). Learning adaptation: Climate-related risk management in the insurance industry in Climate Change Adaptation in Developed Nations eds. James Ford and Lea Berrang Ford, Springer, pp. 255-265. Dowlatabadi, Hadi and Cook, Christina (2008). Climate risk management & institutional learning. Integrated Assessment 8(1), 151-163. Cook, Christina (2010). Review of Integrated Approaches to Riverine Resources Stewardship. Canadian Water Resources Journal 35(2), 231-232. Cook, Christina (2009). Review of The international law of environmental impact assessment: process, substance and integration. Environmental Politics 18(3), 444-466. Emma Norman with Karen Bakker, Christina Cook, Gemma Dunn and Diana Allen (2010). Water Security: A Primer (Policy Report). Vancouver, BC: UBC Program on Water Governance. Furlong, Kathryn, Christina Cook, and Karen Bakker (2008). Good Governance for Water Conservation: A Primer. Vancouver, BC: UBC Program on Water Governance & Infrastructure Canada. Cook, Christina, and Kathryn Furlong (2008). Good Governance for Municipal Water Conservation: An Annotated Bibliography. Vancouver, BC: UBC Program on Water Governance & Infrastructure Canada.